This was a very difficult book to read more often than not. As a warning before going into this book you should know there is mental and physical abuse in abundance. There are also many graphic scenes describing accidents. I was avoiding this book for no good reason, only to pick it up and devour it in a few days. It was captivating and beautifully written. It told a story of resilience and surviving in a life full of abuse and manipulation. It told the story of toxic masculinity and victim blaming. It told the story of what women must face in a world and religions dominated by men and their ideas about how women should act, feel, etc. It told a story of remaking ones self and going against the grain of what it means to be a woman. But the truth is no matter how far we come, we will always hold the scars of our past and we will constantly be healing and changing. Tara Westover comes from a religious Mormon family who does not believe in modern medicine, education, or the government. Tara’s father is paranoid and mistrusting of authority figures; he is also possibly dealing with an undiagnosed mental illness. Tara’s mother is manipulative in subtle ways and constantly chooses her husbands word over anyone else’s. Tara’s older brother is abusive. All the while Tara, as the youngest child, is battling her own beliefs and the beliefs of her family. Ultimately, Tara decides to gain an education against the will of her parents, all the while trying survive day to day among the constant abuse and manipulation within her home and religion. At times, I wanted to scream and throw this book, at other times I wanted to curl up and cry with Tara. I had many visceral reactions to the people and situations described in this book. I have seen the criticisms on the legitimacy of this memoir and I’d like to believe that this book is as accurate as Tara’s memory. As she describes in the footnotes, these scenes and situations being described are how she recalls them, but admits that other family members opinions on these memories differ from hers. As it stands in my mind, Tara told her story the best she could and was as honest as her memory would allow. Overall, this book captivated me immediately and I recommend if you are able to stomach the abuse and graphic scenes, because Tara’s story is an incredible testament to what it means to rise above the odds and cultivate a life outside of the only life you’ve ever known. The Mothers punches you in the heart. A novel telling the story of American’s black youth, which is a fresh and much-needed perspective in today’s literary world. Based in Oceanside, San Diego, The Mothers tells a story of Nadia Turner, a girl coping with her mother’s suicide and her strained relationship with her father (especially after his wife’s death). Beyond her grief, Nadia is effortlessly smart, beautiful, and about to head off to Michigan to start her college career. Before she goes she begins a relationship with the pastor’s son, Luke Sheppard. Luke is a former football star with a promising future until he was seriously injured, now he waits tables and floats through life considering how things would have been if the accident never happened. Luke and Nadia’s relationship becomes complex and the truth becomes murky, especially for Nadia, who hides her feelings and truths from everyone she loves and cares for. In reality, Nadia is searching for her mother, especially in the last place she was seen before her suicide, Upper Room, their local church, the place her father spends the majority of his time and energy, and the place Luke grew up to seemingly hate. The Mothers follows Nadia, Luke, and best friend Aubrey from teen into adulthood, shifting between their perspectives. This novel is interesting in that way because it would seem that the whole of the story is told in the third person, but we are introduced into The Mothers, who seem to be telling the story of their youth in comparison to Nadia and Luke’s youth. I liked the switching of perspectives, it added a depth to the story and brought meaning as to why the events that unfold are important to acknowledge and understand. I really enjoyed the overall complexity and tone of this novel. I felt that I connected deeply to the story line as someone who lost my mother at a young and trying age. The importance of a mother figure, as well as motherhood, is heavily emphasized through Nadia and Aubrey’s growing pains. Each girl is motherless, both strong, but still yearning and searching for their mother’s approval, advice, and love. And the question remains making your way through this story, would our choices be different if we had our mothers there to help guide us? Or, are our choices even our own when a parent chooses to walk out on a child, as both Nadia and Aubrey’s mothers chose? Aside from motherhood and frankly, relationships, choice is the underpinning of this novel. And this concept really opened my eyes to my own choices, failures, and successes, which is something I love in a book. Beyond Nadia and Aubrey’s choices or possibly lack thereof, how are their choices influenced by being black women? Or is their path of expectations set in stone? Honestly, this was such a beautifully devastating and important read. 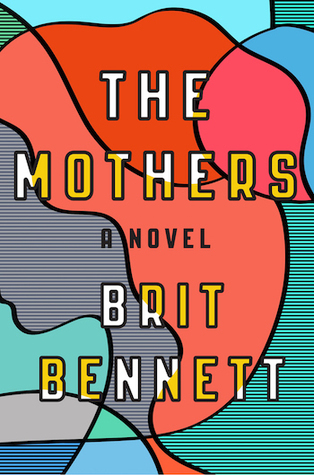 I would recommend The Mothers to everyone and anyone looking to reevaluate life, friendships, love, and choice, but also, I would recommend this book as a painful look into being a black woman and the expectations and stereotypes pinned to you from birth. Overall, I gave this book a 4/5 stars!